Mr. Jesenko from the beautiful Austria has a special model building passion. He develops, designs and builds ultralight multicopter, quadrocopter and hexacopter with perfect flight characteristics. 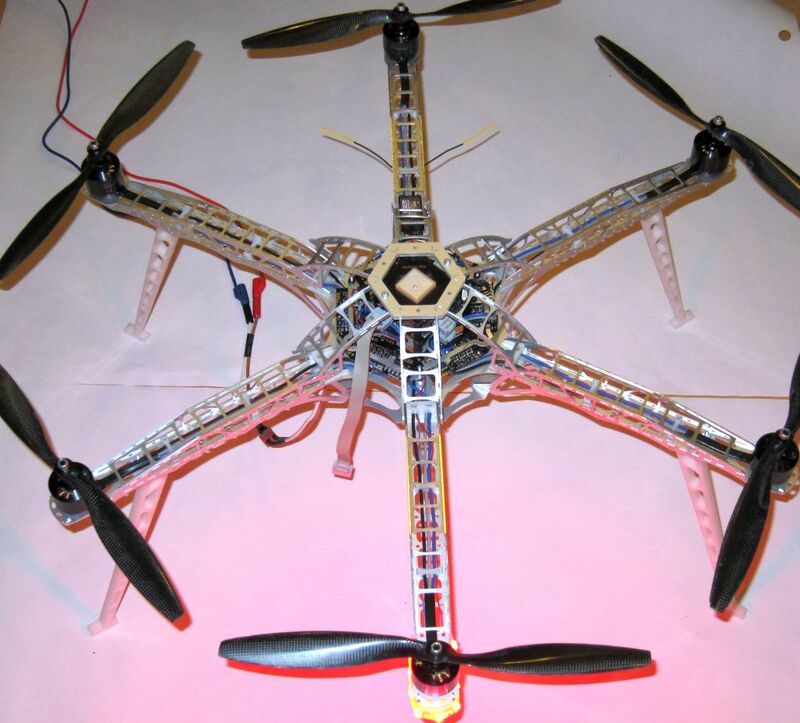 In the entire process of the development of these multicopter, the commercial use for aerial photography is the focus. 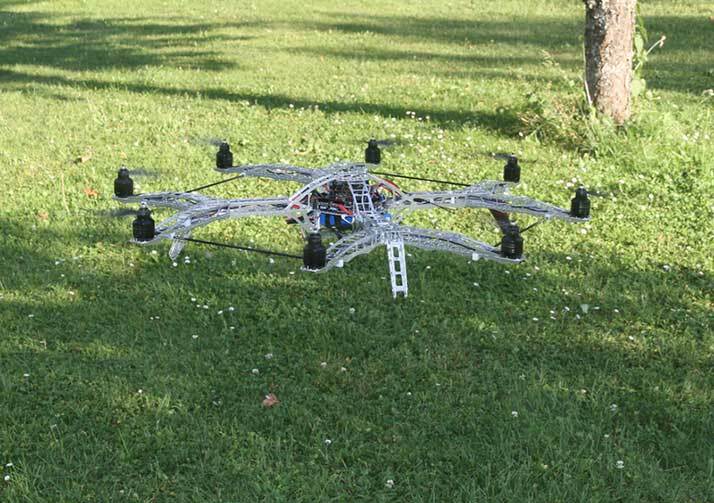 Therefore, some of the Quad Copter or Y Copter from the copter forge are also dimensioned so large that the carrying capacity of a DSLR camera (digital SLR camera) is guaranteed. 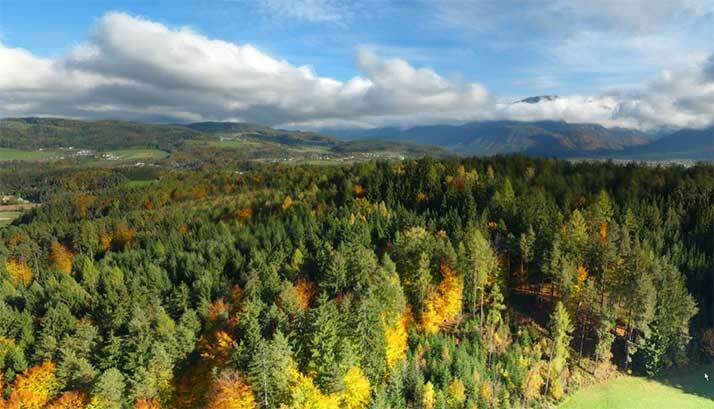 Professional aerial photographs like photos or videos require extremely high resolutions, which only DSLR cameras with large-format sensors can provide. 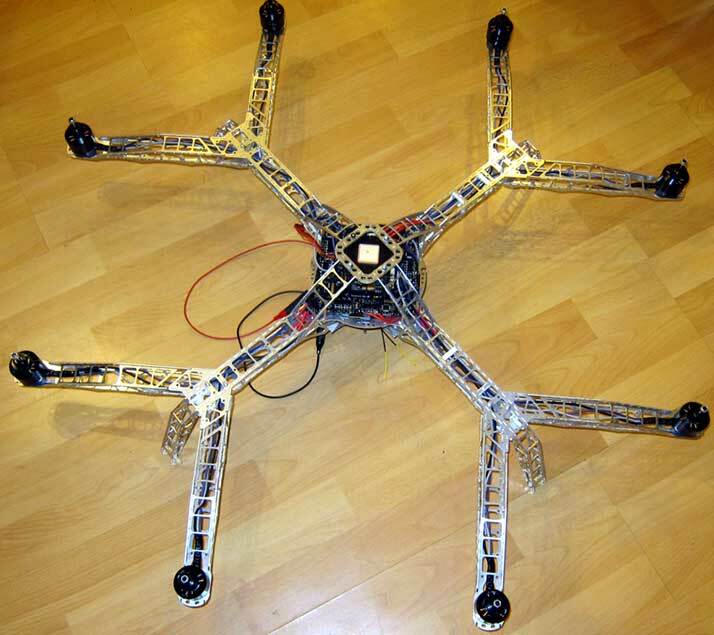 The DIY Copter parts are manufactured exclusively on a High-Z S-720/T. 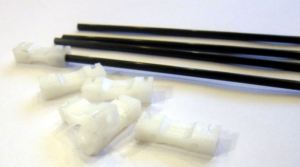 And a Y-copter or octocopter includes a lot of model building components. 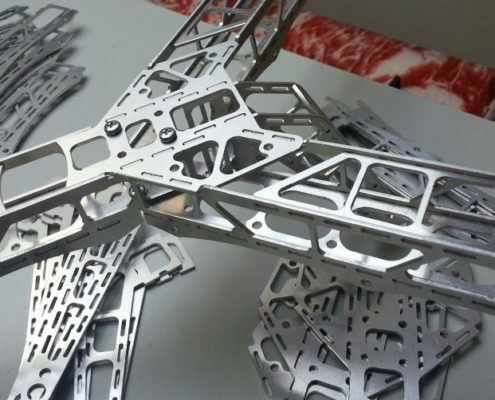 Most of the multicopter parts are made of lightweight aluminum. 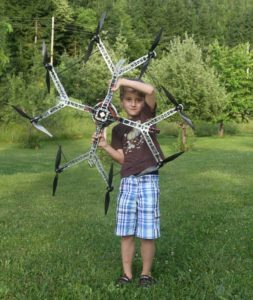 So the weight of the finished frame of the large Y Copter with remarkably light 700 grams is a real constructive masterpiece! 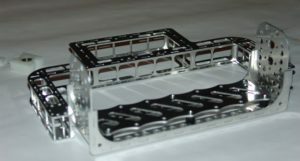 As with many other model builders, it was not easy to filter the right material and ultimately the correct feed and speed values for the milling of the aluminum. To this end, Mr Jesenko has written a small report which will surely be of use to all model builders. Mr. Jesenko also quickly discovered that the theory and practice are always “two different things”. 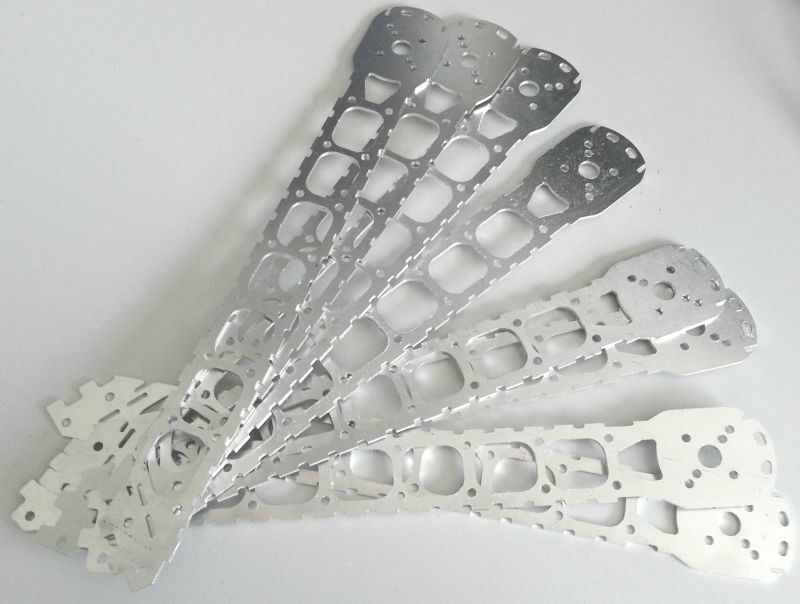 For further information on aluminum milling, please click here. 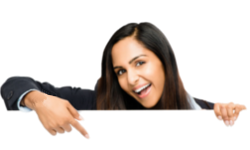 You can find the report including the feedrate calculation, etc here. 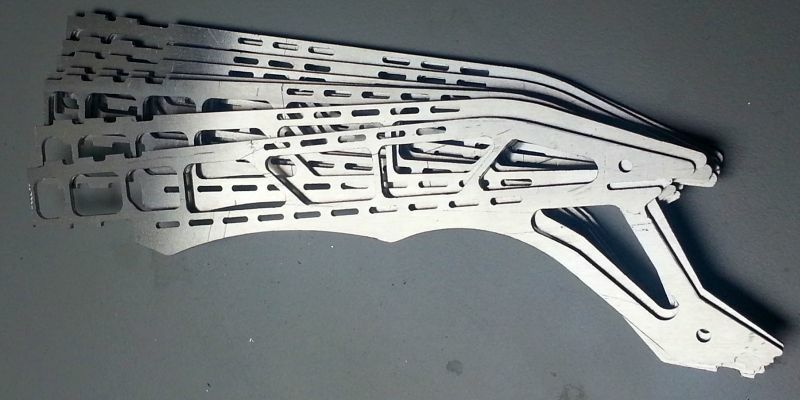 Thank you for the informative page on your experience in milling aluminum! 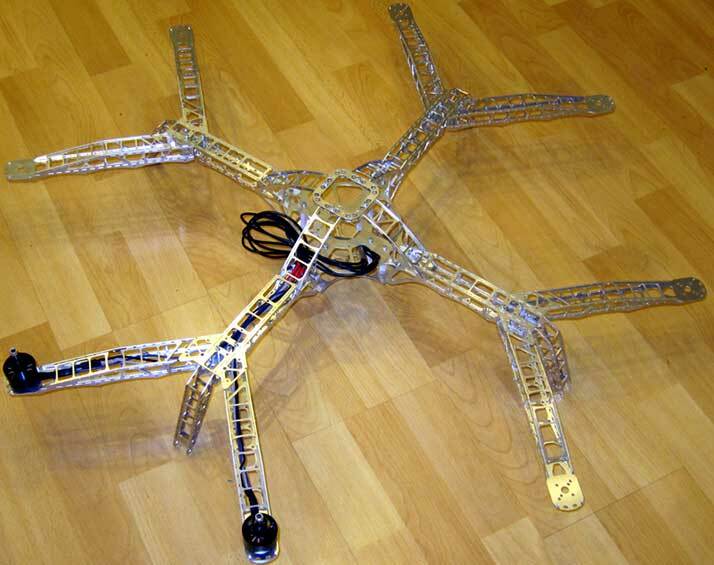 8 arms directly from the centerplate, using the lower level of the multicopter as battery power, wouldn’t work. 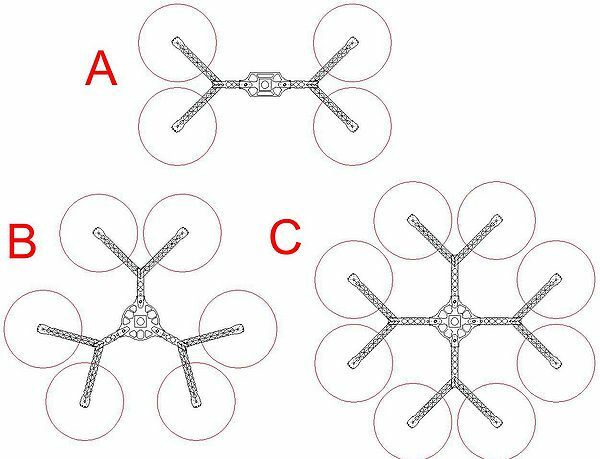 Therefore, a new idea was in place: the construction of a Y-Copter, which would then be universally applicable, as Y-Quadcopter, Y-Hexacopter or even as Y-Octocopter. 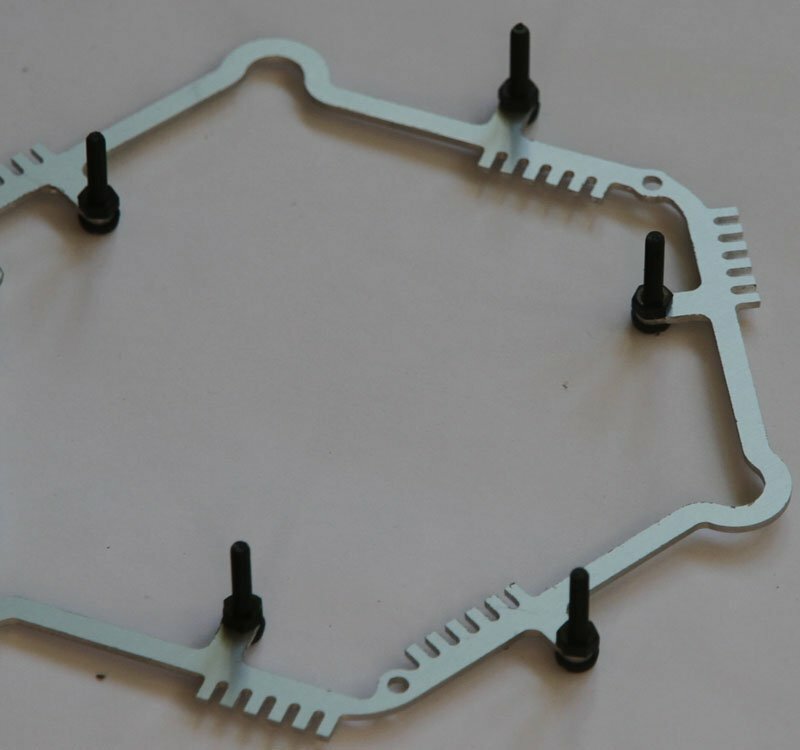 Only with the Y-design it is possible to create more space on the centerplate. 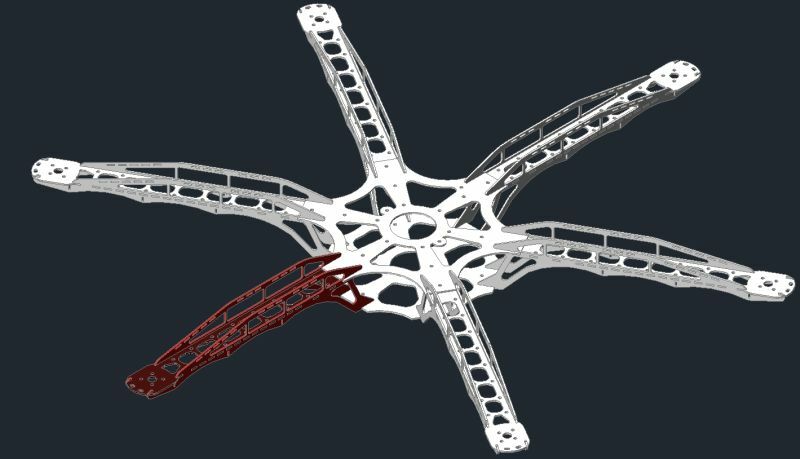 After the CAD design of the Octocopter, the CNC milling machine was fed with the data of the first design, but this could be improved. 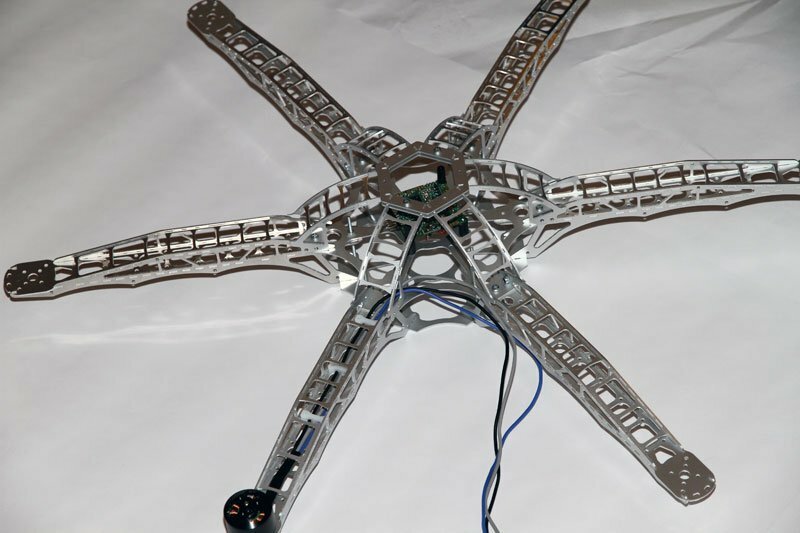 However, already the second prototype was absolutely usable and convinced not only by its light weight. 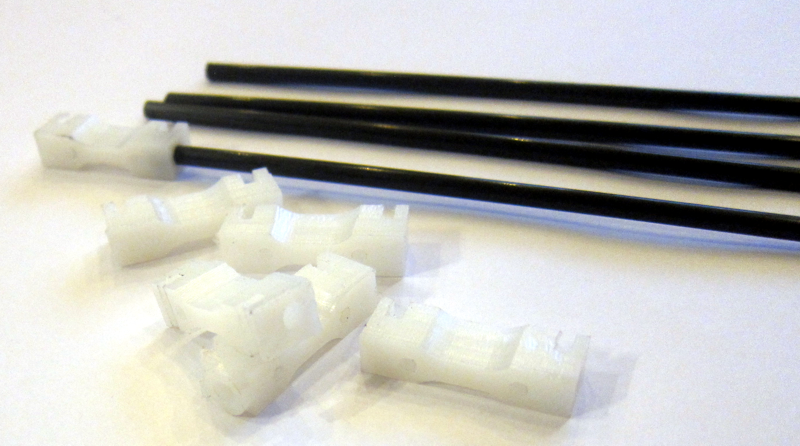 A complete Y-outrigger for 2 engines now weighs just 140 grams! 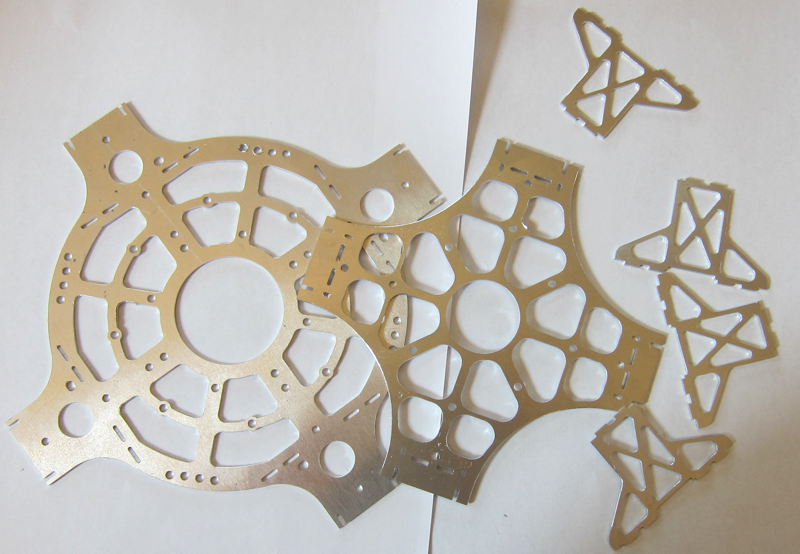 Then it went to mill all model parts for the octocopter. And these are not few. Milling and drilling the fixing holes for the Roxxy motors. Drilling a few holes for the plastic holders for the cable guides, which are also custom-built with the CNC milling machine, motor plate, center plate, dome and stabilizers, basic plate for the main outrigger and side milling. 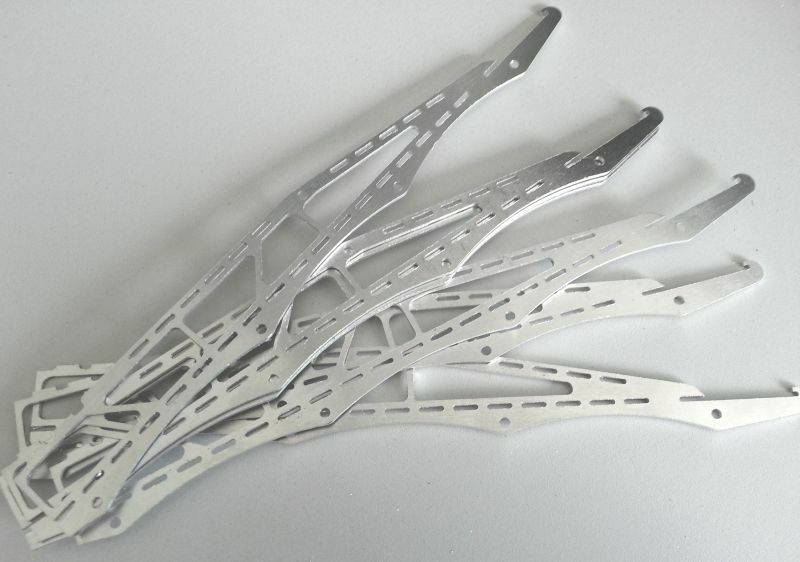 Not only were all aluminum parts made of 1.5mm aluminum sheet with the CNC machine. 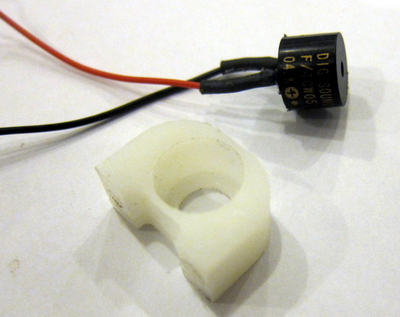 In addition, there are parts made of POM, a wear-resistant plastic. The mounting brackets of the outboards and the cable holders as well as the brackets for the signal transmitter should be mentioned here. 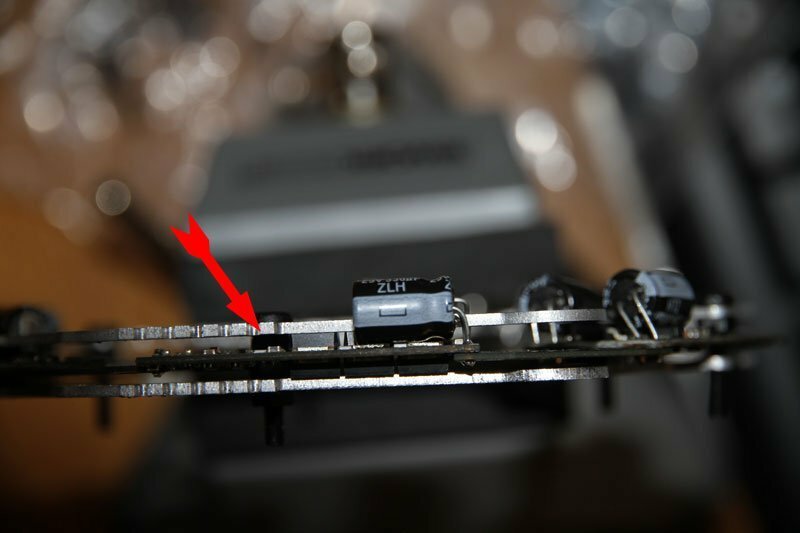 Of course, the installation also includes the installation of all electronic components, the motors as well as the installation, soldering of all cables, etc. 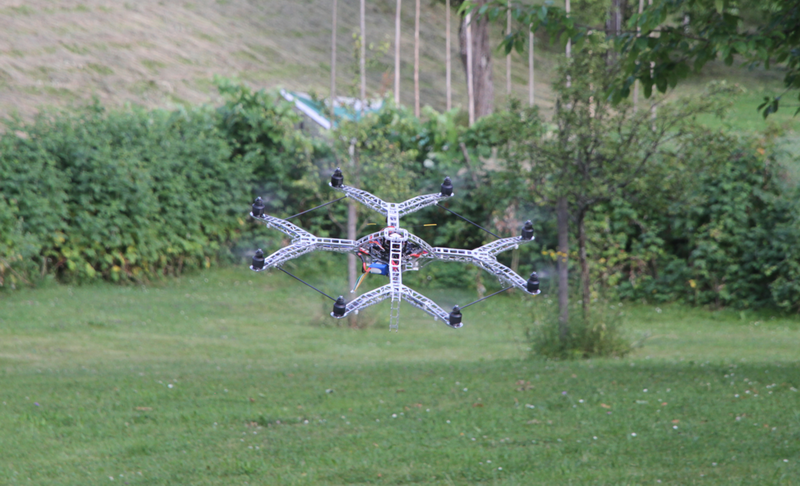 The test flight is to be carried out with a JETI / MX16 and a Jeti-RMK2 receiver. Quick test of all motors on rotary direction. 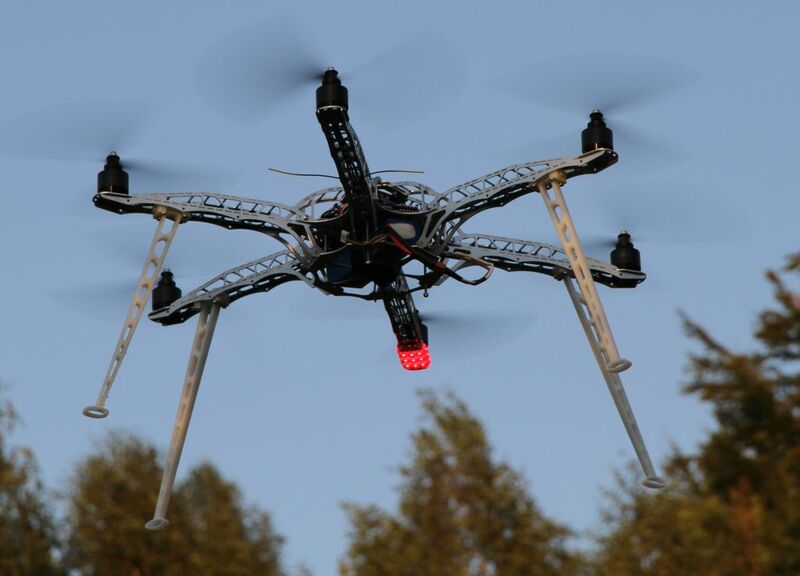 Then the Octocopter looks absolutely usable. 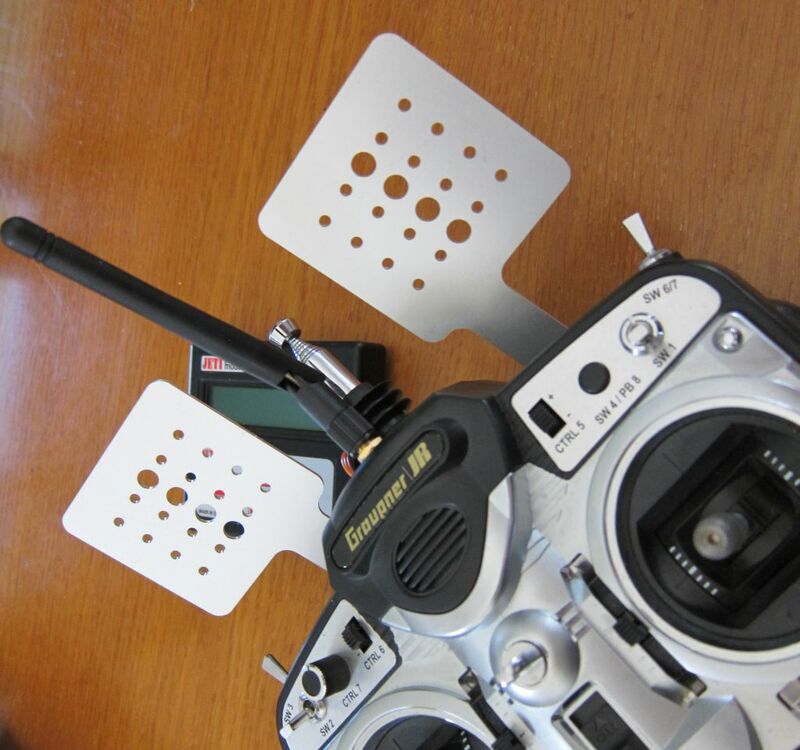 Our CNC machine customer has also not refused to modify its Graupner MX-16 radio remote control. It was necessary to keep an additional display and a transmitter always in sight. 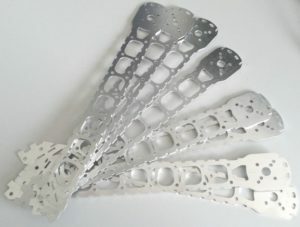 Soon suitable holder was designed and milled of aluminum . 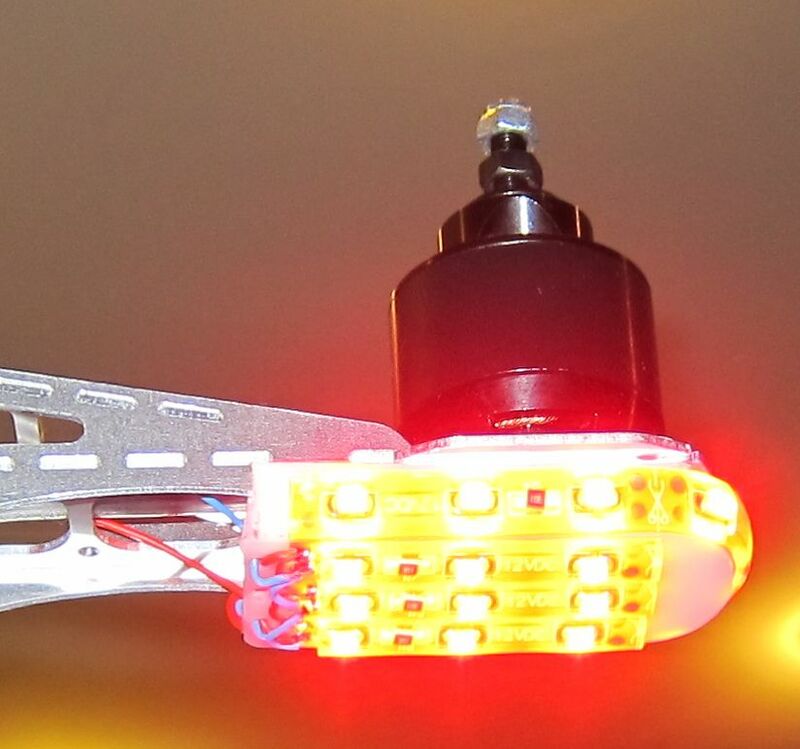 All important data are now always in the focus of the multicopter pilot. In the end there was also a suitable low weight Gimbal for the used DSLR. 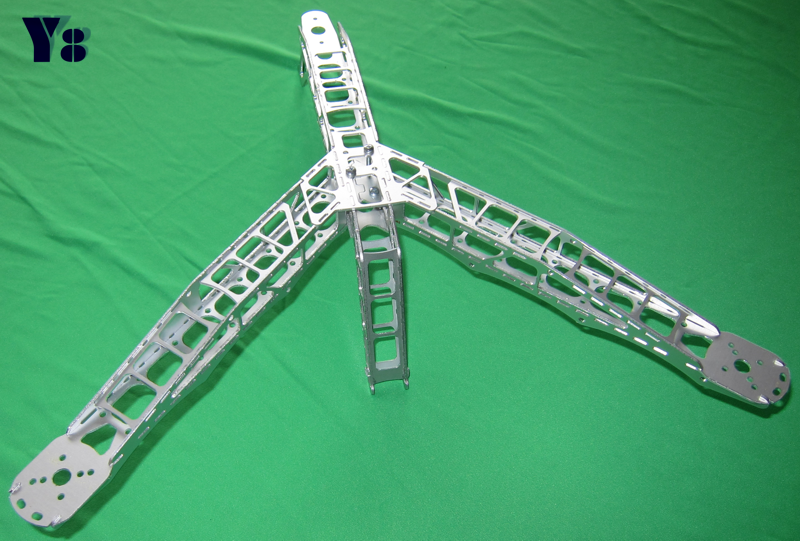 Of course, it was constructed in the same proved lightweight construction as the rest of the entire copter. 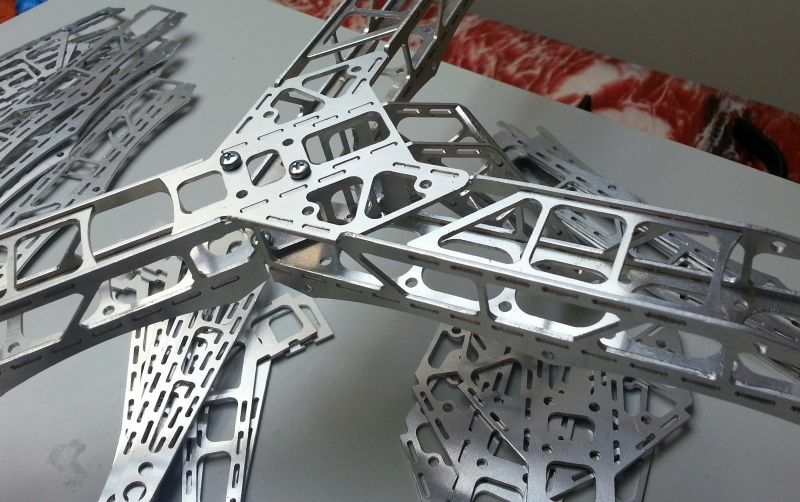 Get on the milling machine with the raw material! The result is just as perfect as the copter itself. Maybe we will get some more pictures from the entire system and a video of the launch and flight of the giants. We would be delighted. 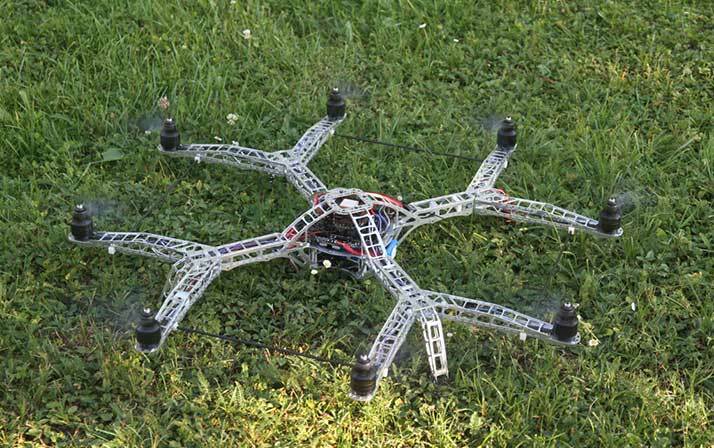 Information about GPS and FPV Copter – What is FPV? 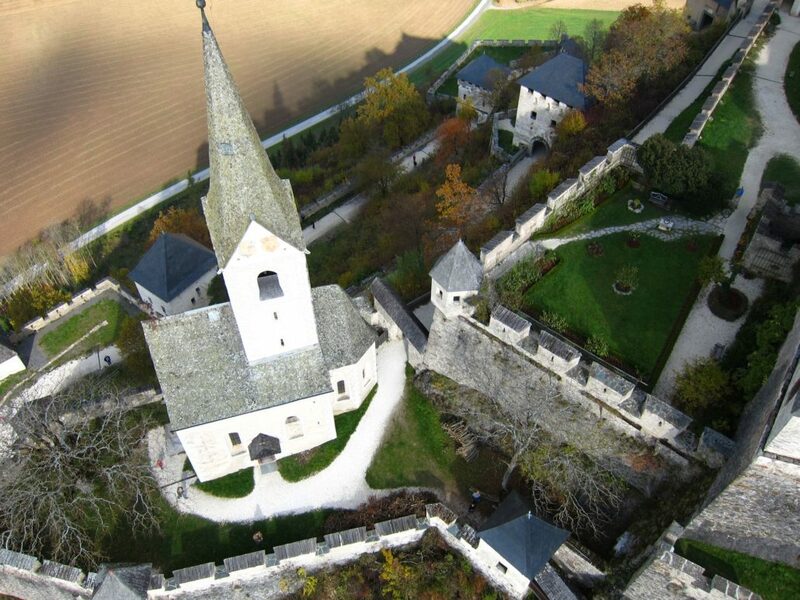 FPV stands in terms of remote control aviation for “first person view”. 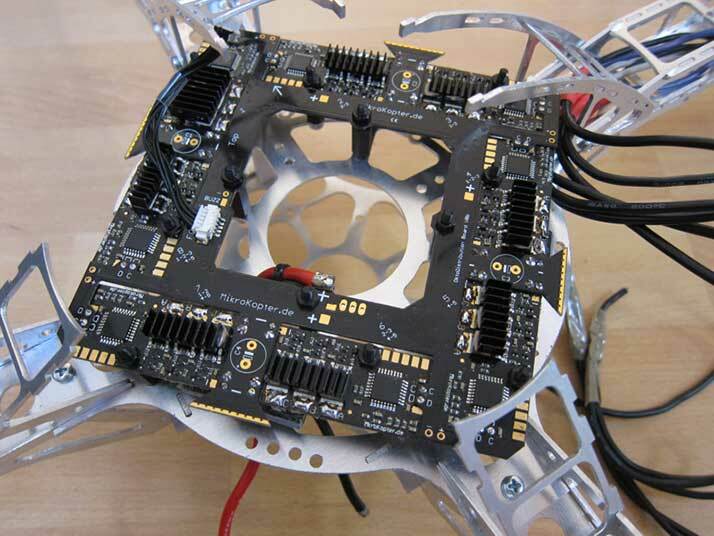 This means all activities which are connected with the “I-perspective” inlcuding model flights with a cameras. From the basic principle, the attachment of the camera to a flying object is an FPV form – passive FPV. 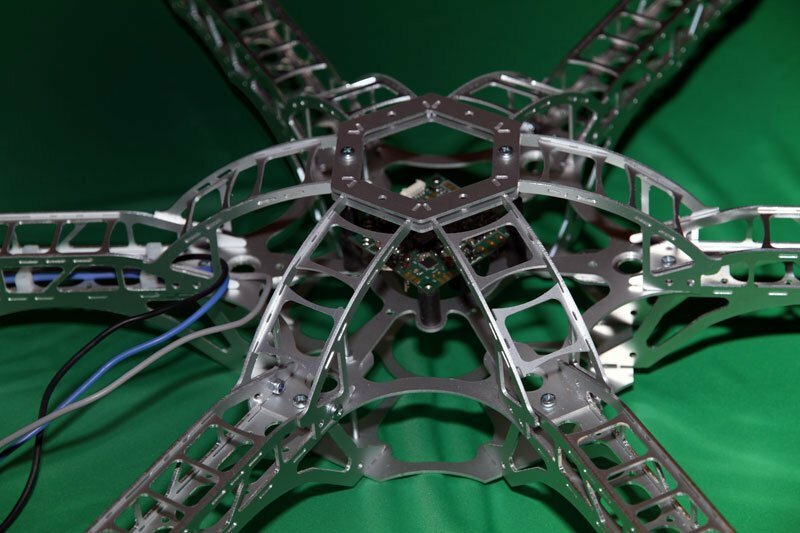 After each completed flight the recordings can be retrieved from the respective perspective of the flight model used. The more interesting way to experience FPV is certainly the active FPV. In this case, the live view of the camera is transmitted wirelessly to a monitor or, ideally, to a video tape. This at best in the headtracking process, and everything is perfect. Thus, the operator of the Quadrocopter experiences the flight as if he were in the flying object himself. 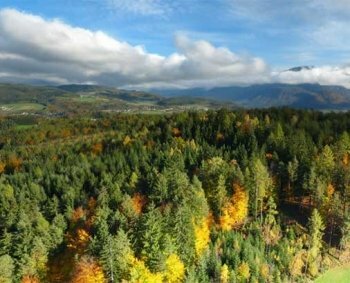 In addition to the exciting flight experiences, the live transmission offers in addition all possibilities, easier and better control flight of recordings , so you can be sure not to film something, which disappoints you viewing the video material later on. For professional photographers and hobbyists as well as for business professionals an absolutely essential instrument. The topic GPS with the Copter-flight we only discuss briefly. For good a reason – too extensive. There are platforms that explain this much better than we could ever do. 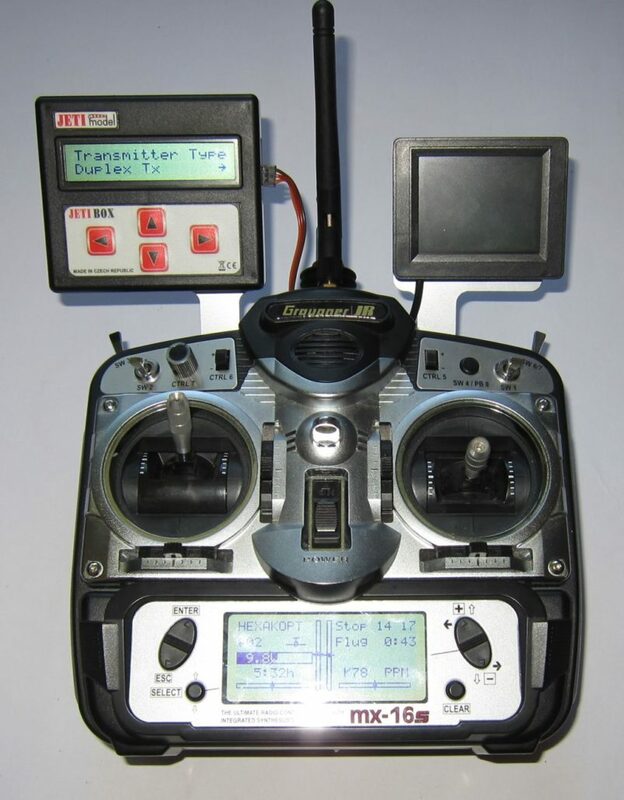 Only so much: With the help of GPS signals, today’s high-end multicopter cannot only hold the position in moderate wind, but also find their way back to the master when the radio signal is interrupted because of the distance from the transmitter to the Quadcopter. In addition, there are already systems which store a completely “route with the finger on the mobile phone map” and these then let the aircraft fly the route. Then the operator can also take care of the camera control during the flight. In addition, there is the following interesting function for the advertising film industry and Hollywood, with which the GPS Drone steadily follows the transmitter. 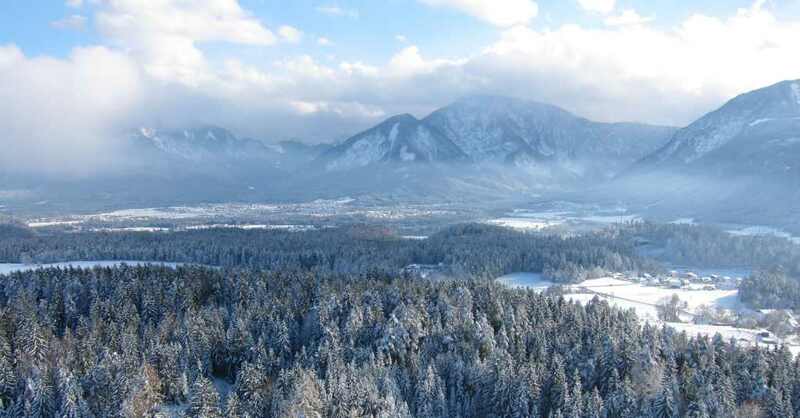 Thus, for example, spectacular action film recordings can be realized in landscapes where people can not film with humans and helicopters, certainly not in low altitude. (Deep snow skier being followed by an avalanche).